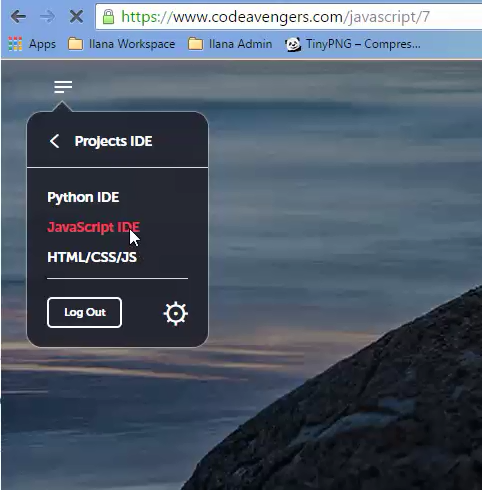 Code Avengers Cloud IDE: What is an IDE? An IDE is a place where you can write, save and run your own code and see the output. You can deploy your own apps, websites and games and also share your code with others. And it is all online, in the cloud! This makes it much easier to access and share your projects from anywhere. 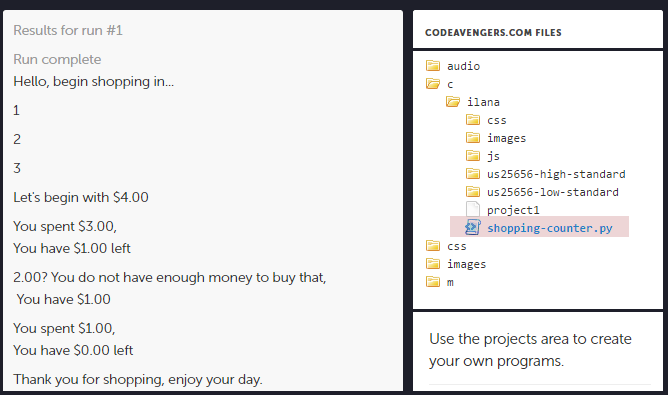 When you create projects in Code Avengers you can now include as many files as you like. 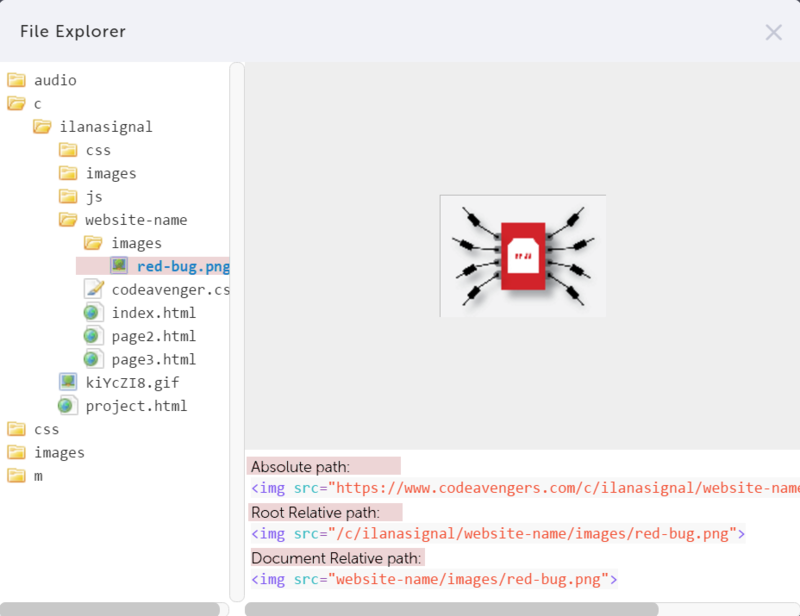 You can upload your own images directly to our servers and include these images in your projects you build with Code Avengers. You can also use your personal images in the Code Avengers course. 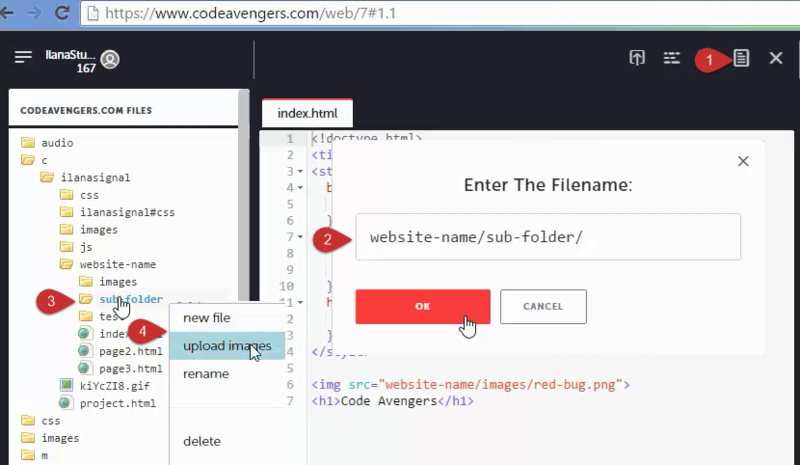 Code Avengers offers free hosting of student websites. Additionally, you can also share student code with teachers and moderator etc. for review. You can now use CGI server side includes in your web pages to include common headers, footers, and menus etc. in all the files in a project. Hit the deploy button to make your game or program LIVE online. You can share the pop-up URL with anyone at anytime and they can play your game. Use the editor to plan your first room. This is the place to plan your work. Click and drag the type of object you want onto the grid. 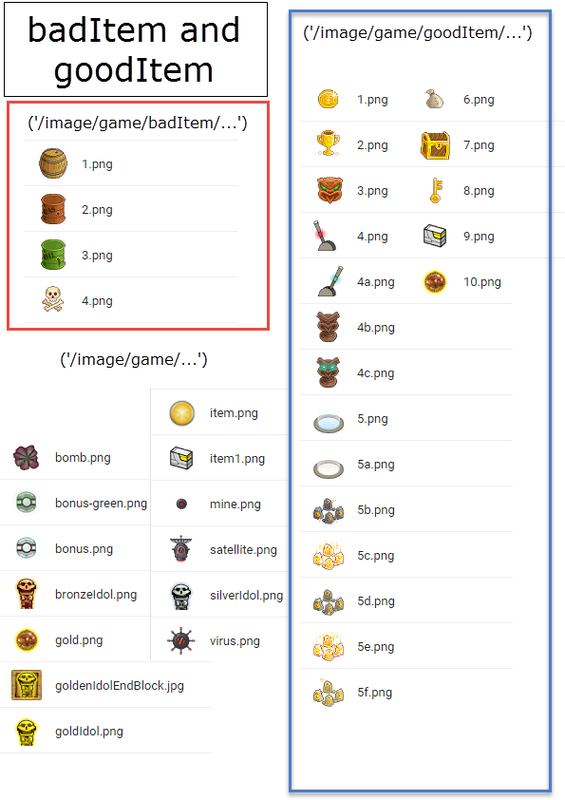 Don't worry if they are not the sprites you want for the objects, we can change that later. After you have made your layout of your first room click show code. After you have made your layout of your first room click show code. The code for the objects will appear. If you hit run and click inside the pop up box, you can bring up the game and play it as you create it. Use the reference to find some cool code to add, or if you have forgotten some code. You can do things like add a score, unlock doors, shoot guns and change sprites. A catalog of images and a small reference list of objects can be found in the activities section in this book. When you are ready to share your game hit the deploy button. Give your game a name and write some instructions or a small introduction on what your game is about. The game will pop-up so make sure your browser allows pop-ups from Code Avengers Message someone your code and play theirs. Make sure you have //paper 600 600 at the top of your page if you want a nice big canvas to work on. You can change the size of the canvas by changing the numbers //paper 200 500 for example makes a 200 wide by 500 high box to create on. 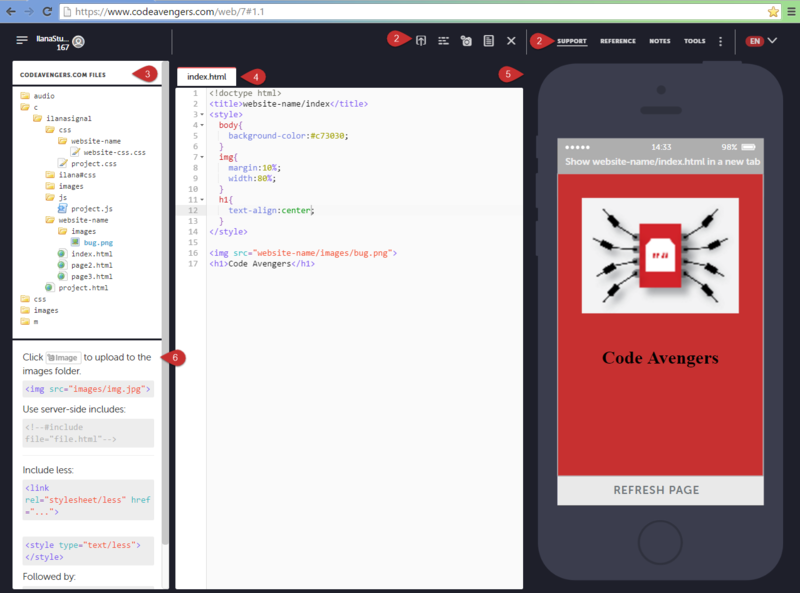 If you want to add your images to a normal web page outside of Code Avengers, it will require a little set up. The Code Avengers' code is easier to use because we do all of the set up for you but it only works on code saved on our website. If you are ready to make graphics in your own website then read the content below. 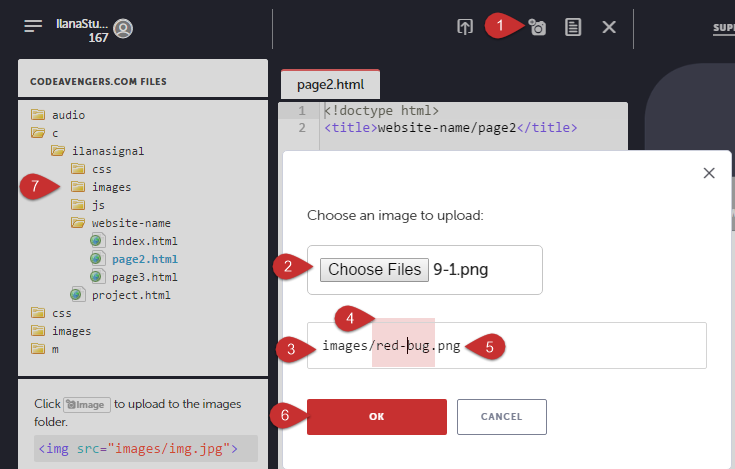 You first need to learn about HTML <canvas> and linking JS, HTML and the 2D context library. 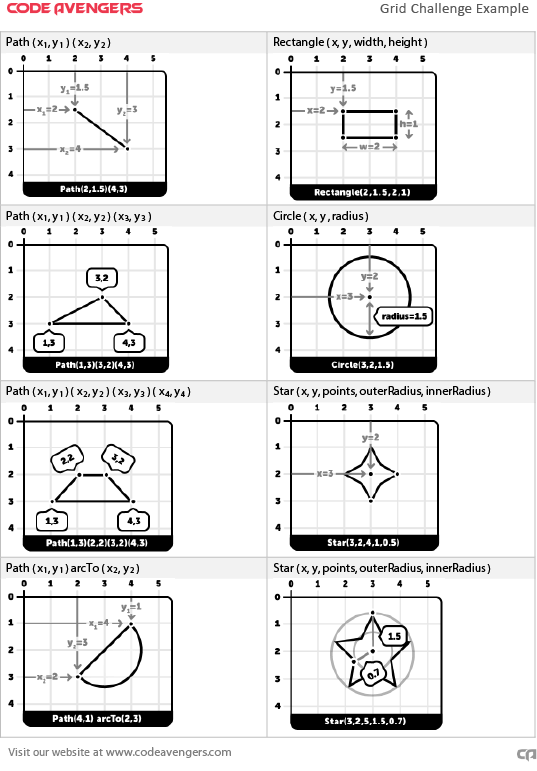 Then you need to learn how the functions work for 2D, we have some notes and links below that can help you. HTML5 Canvas isn't working if you see this text. You can draw images and shapes onto a webpage using code instead of uploading an image. <p>Did you know this is a live example? Click on the HTML code box and try your own code. Did you know this is a live example? Click on the HTML code box and try your own code. So in the code above we have a canvas in HTML but the important stuff is happening in the script element. Now with those 3 things linked you can draw a lot of different shapes. All the browsers have access to 2d so you only have to ask for the browser to find it and pull the context out of it. Read a good explanation of context on StackOverFlow by Brian Kelly from 2011. You can draw many things, the basics are lines, rectangles, circles, triangles, half circles and stars. The drawing code is slightly different to what you have learned here at Code Avengers. The angles are not degrees but radians. 2PI is a whole circle so 1*Math.PI will draw half a circle etc. 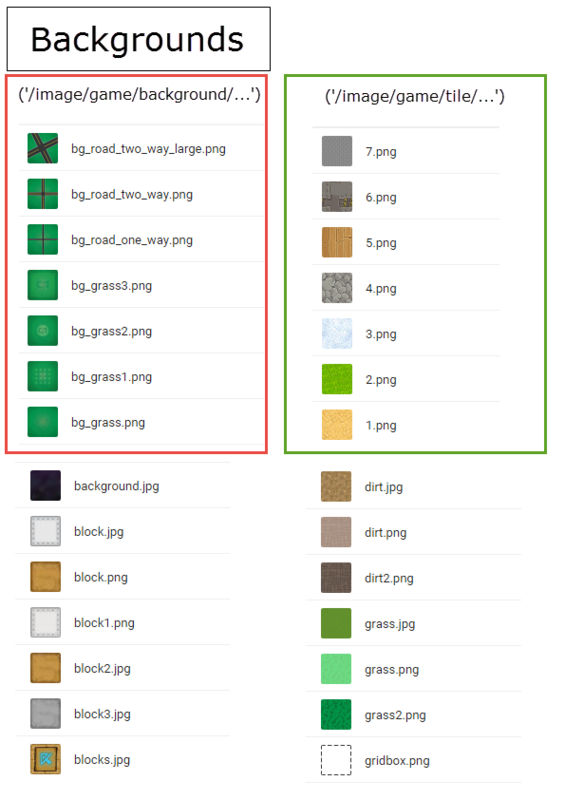 There are a couple of ways you can change the color of your graphic. Disclaimer:It is not a complete list and some image files could be moved or renamed post publication. 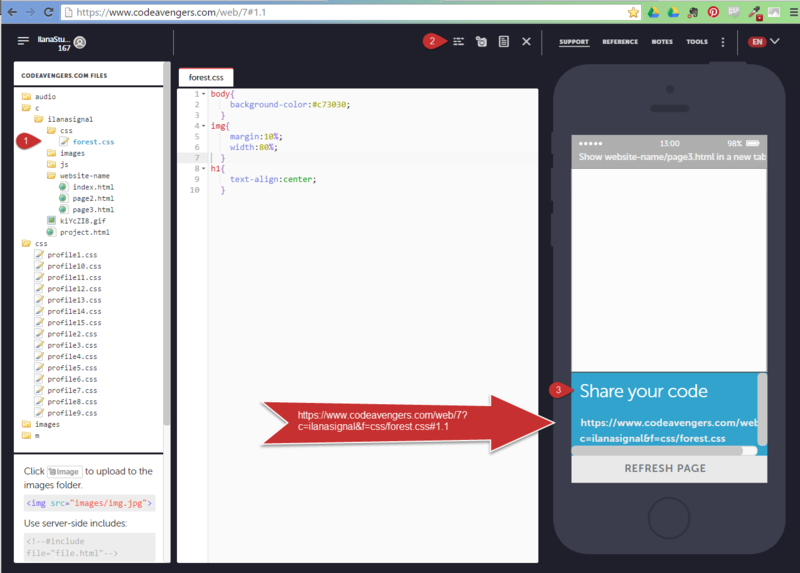 You can share the URL to give people access to your website and share your code for others to see. This is the place to practice your learning with personal projects or complete website based assessments. The resource buttons connect you to support, let you look up code in the reference, access your own notes and access tools, like color widgets, and show you shortcuts and files. This is the Code/Text editor where you write your code. You can use the IDE action buttons to add new images and files or you can right click here and use the shortcuts on specific folders. This is what your webpage would look like on a mobile phone. Click the URL on the mobile screen to open it in your browser. You can copy and send that URL and others will be able to open it. Refresh is useful to make sure that an external CSS is updating. We have a few bits of code here to remind you of important HTML you might want to use. These will save automatically inside their folders (see where project.html, project.css and project.js are in your IDE. Be careful, it is not reversible. Click on the camera icon in the IDE action buttons. '''the images folder will appear to store your images in. You can delete the file path and the image will appear in your named folder next to project.html. The most common image file paths to use are .png, .jpg and .gif. They have to be under 500kb to be uploaded. 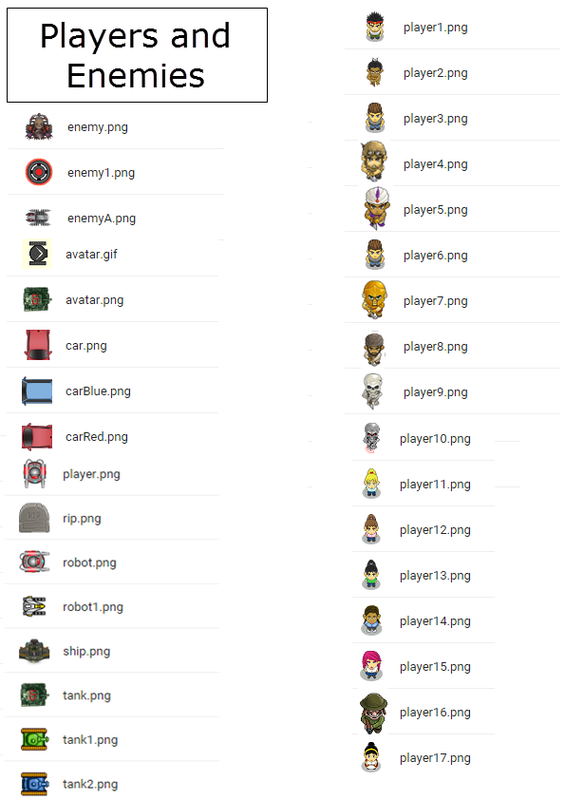 tinypng.com is an awesome free site for making Jpeg and PNG files smaller. See your image appear in the file explorer. or "Deploy Your app to the Web"
click the URL on the phone or hit the deploy button. Both will open up a live webpage. Copy and send the URL to people you want to show it too. See file appear inside your new folder. 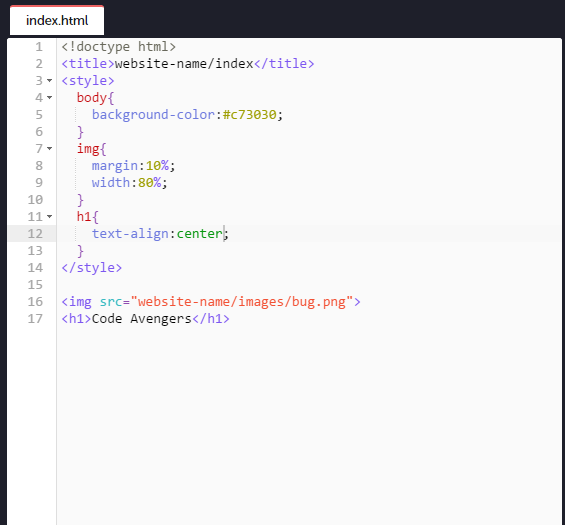 Add the file ending .html for a webpage and .css for a stylesheet. Currently the CSS will always be added to the css folder, not the website root folder. That functionality will be coming soon. Once you have clicked OK your sub-folder will appear in the file explorer. 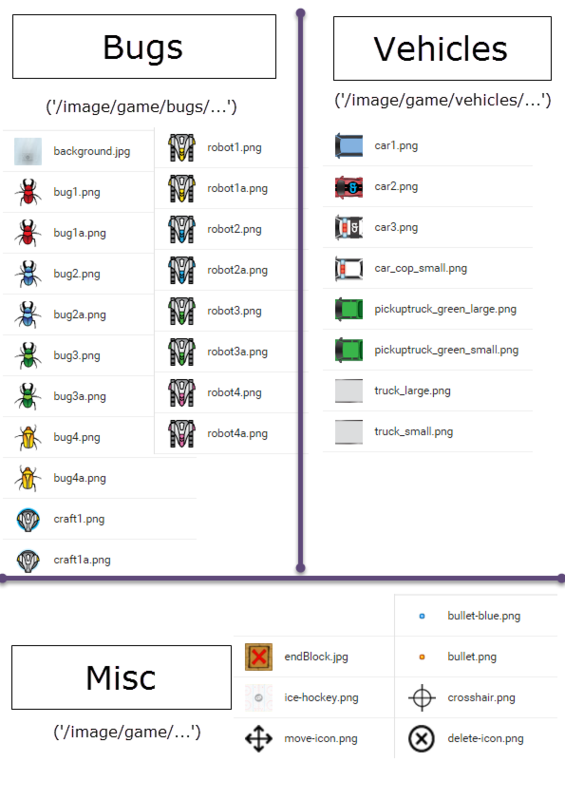 You can right click to add files or images to it. You should add an image folder inside your websites root folder, it is good practice to have everything for a website in one root folder. YOu can easily add an /images/ subfolder using the method above, but this one below is also very easy. 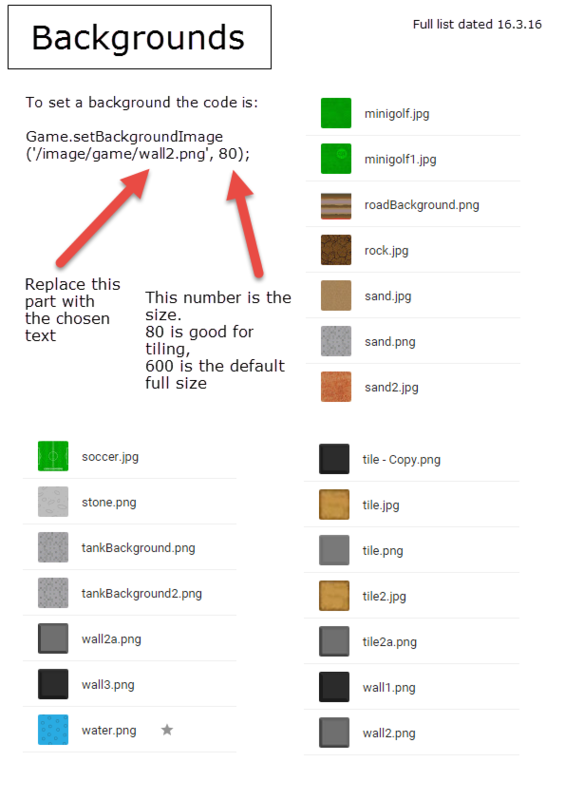 Here is how to add an image sub folder to your website. Watch this youtube video to see how to add a image subfolder. Watch this youtube video to see how to add an image to a folder. This video is useful for assessments. File paths are important to understand because websites are simply files that have links to other files. 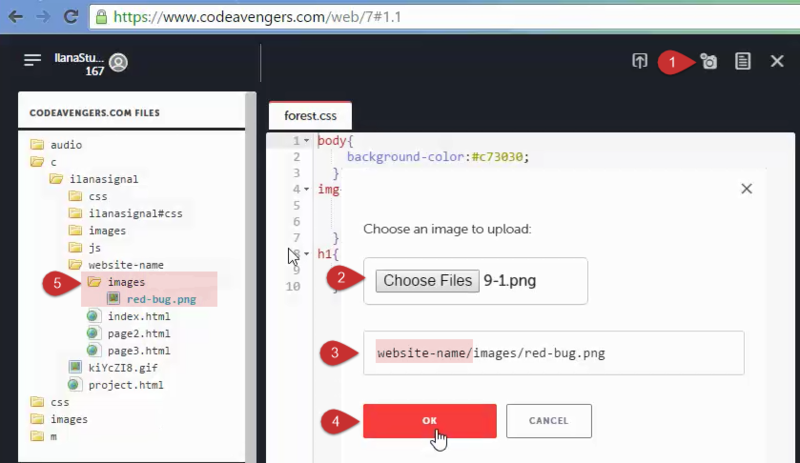 This level 1 Code Avengers lesson >> can teach you about file paths. Save everything for a website inside one base folder, called a root folder, and name your main page "index." Linking webpages is easy. You just add an anchor tag and the file name of the page you want to link up. If you were editing "index" and wanted to link to "page 2" you would add this code into index. 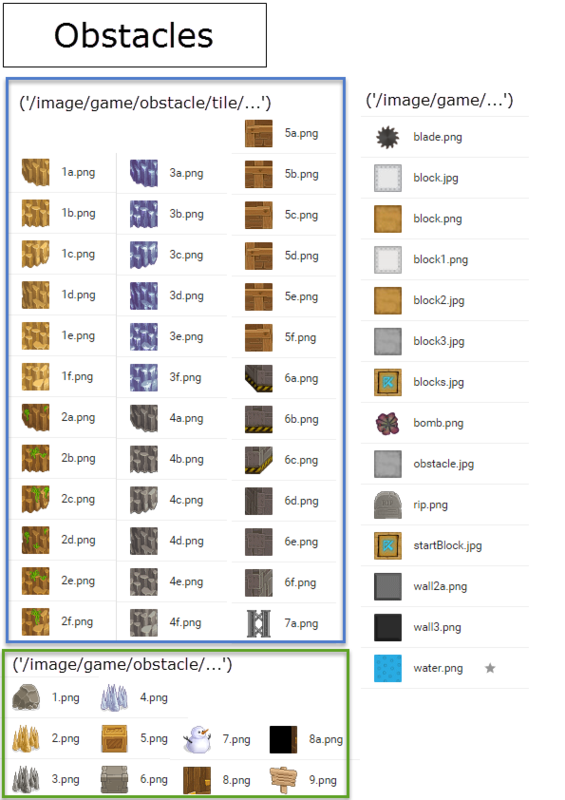 Here are the three different file-path types to add this image onto the index.html webpage. If you look at the above picture you can see the files and some folders are inside other folders? We are working on index.html, inside the website-name folder. 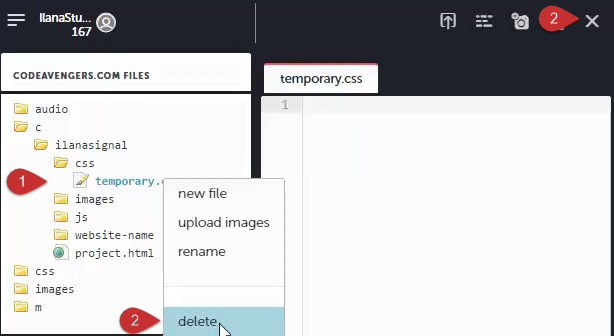 If a file is in the same folder as the webpage you are writing you just need the file name to insert a link on your current webpage. the forward slash, /, means "go up or back a folder"
These are both "document relative" ways to link, and you use them when you are linking to a file in your computer/server. When you link to from one document to another then you can move your documents around (As long as you move them both) So you could move both index.html and images/red-bug.png into the c folder and the link would still work. As long as they still have the same distance from each other it doesn't matter where you move the files. 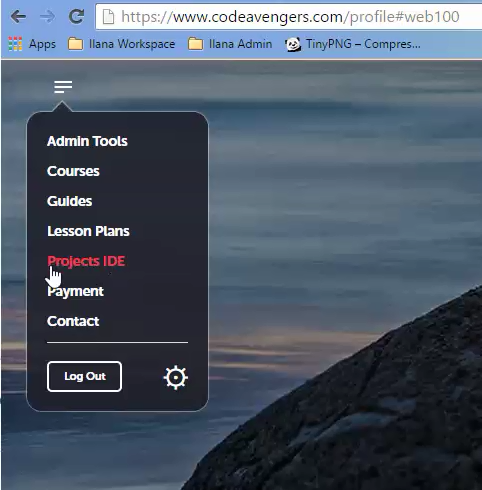 www.codeavengers.com is the server. It it has many files and folders on it. The root folder in this case is for all your IDE stuff is kept in folder-c, folder-your user name. A root folder is just the name for the folder that contains everything. It can apply to any folder you like. 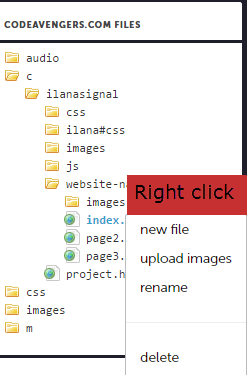 Website-name is the root folder of our website, ilanasignal is the root folder of all the newly created files made by that user. 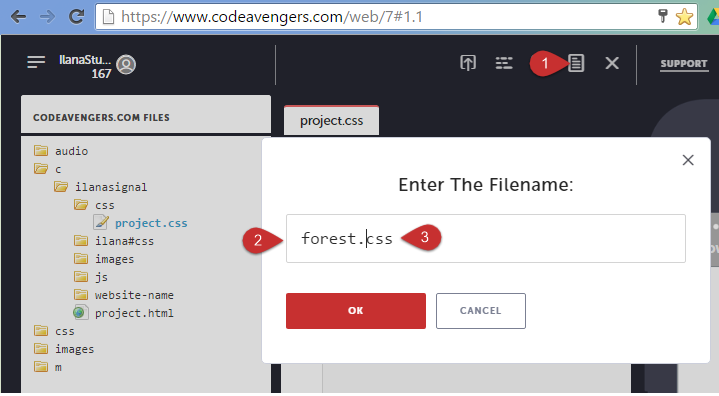 c is the root folder of all the IDE stuff, including the Code Avengers pre-made CSS sheets and images. This address doesn't rely on where index.html is as long as it is in the c folder but the image can't be moved without the link breaking. So your image file is connected to the root folder not the index file. The file paths to other websites are "absolute" and you use them to reference files outside of your computer/ server. 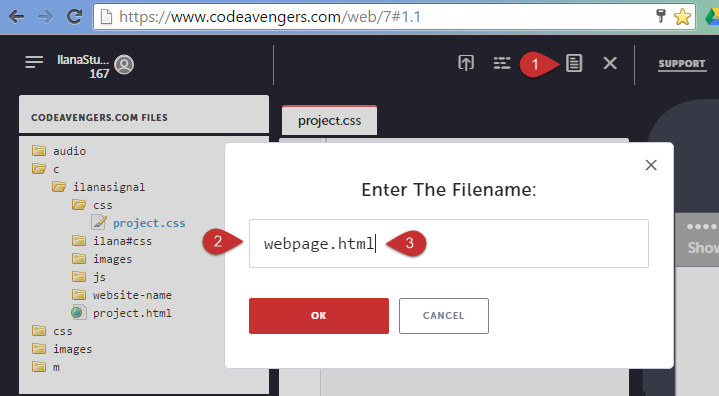 <img src="https://www.codeavengers.com/c/ilanasignal/website-name/images/red-bug.png"> www.codeavengers.com is the server. This file path points to exactly where the image is. If the image is moved around in anyway the link will not work. But it doesn't matter in anyway where your index file is located. It could be in the IDE, it could be on your computer as a file, it could be on another website. When ever you link to another website you will use the absolute url file path. Follow the Google Style Guide on writing in HTML/CSS, also the W3School guide is pretty easy to read. HELP: If the IDE freezes, simply refresh the page or make a small change on the page. Our Python IDE lets you create Python files and create your own apps. This IDE is best when testing out content from our courses. 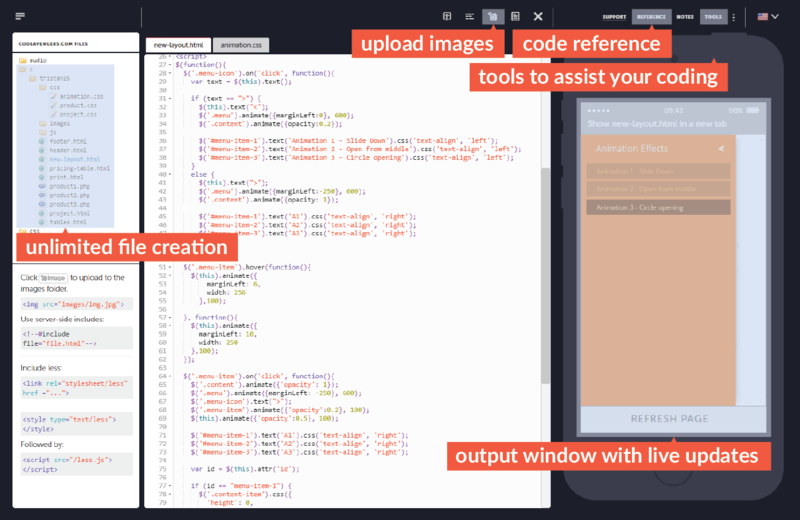 These IDE ACTION BUTTONS will let you run your code, share your work, upload your images, create files and delete files. This is the TEXT/CODE EDITOR where you write your Python code and νm;comments. The CONSOLE is where you can see the output of your work after you have run your code. Make your file a Python file by saving with the .py extension.